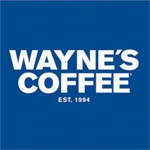 Wayne’s Coffee was founded in 1994 and has since grown to become one of Sweden’s largest café chains, with 125 locations in Sweden and around the world. But rapid growth and internationalization brought its own set of challenges, one of which was the need to foster communication across all franchisees and employees. It’s always been important for Wayne’s Coffee to continuously share the chain’s current news and activities with its employees, and the main way that they did this was with a weekly internal newsletter. The problem was that this took up time and resources each week as marketing staff at the company’s headquarters manually collected and compiled information from key people across the organization. It also took time to create PDF files in InDesign and to send those files out to recipients. As well as combatting large file sizes clogging up corporate email inboxes, PDFs are also less than ideal for mobile devices. This was becoming a growing problem as more and more employees chose to check their emails from their mobile phones. Chainformation allowed Anneli to create the base content using existing templates and then to share it with other key stakeholders, who could also submit news of their own. When the newsletter was ready, Anneli could easily share it with her choice of recipients. Thanks to Chainformation’s mobile optimization and responsive design, staff at Wayne’s Coffee can read the newsletter without any problems, no matter where they are and what device they’re using. 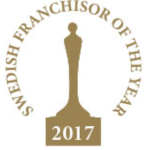 In 2017, Wayne’s Coffee was named as the winner of the Franchise Chain of the Year at a ceremony at the Grand Hotel in Stockholm.